Earlier this year Google announced it's new program Android Oreo (Go edition) in which the company will launch smartphones with a highly customized version of Android Oreo which can support phones with less capable hardware. And now Google has revealed that the first smartphone based on Android Oreo (Go edition) will be announced at MWC 2018. Except this Google hasn't revealed anything else. The OS for these smartphones will be a highly optimized version of Android Oreo. The phone will support the default basic apps which comes with the smartphone. Also there will be highly optimized version of Play Store which will have apps supporting this OS. The main motive of Google behind this project is to increase the use of smartphones. Also company wants that even the most affordable phones should have good performance with Android Oreo. The phone will also have more storage as the Operating System is very lite and it takes very less amount of storage. Also the apps are developed so lite that they takes less storage and the performance will be good. There are many new apps like YouTube Go and Files Go which have already been developed for this OS. 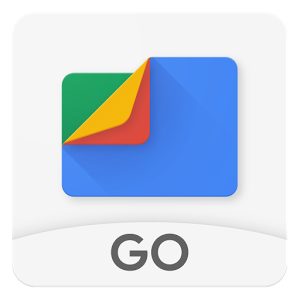 Also there is a special assistant known as Google Assistant Go for this OS. Also many developers are working to build apps for the phones running on this OS. Also there is a new feature known as Find My Device in this phone which is a built in feature by which you can it track down, set a passcode or clean all the data from the phone just by signing into your Google account. Also there will be regular scans of apps on your phone so that apps don't waste data of your phone. And lastly the price, the price of these smartphones will be less than $50 which is quite less. This initiative from Google is very good as it will help many people who can't afford to buy a smartphone to get Android experience. These phones are basically aimed at poor countries like India so that each and every person in the country can use smartphones.